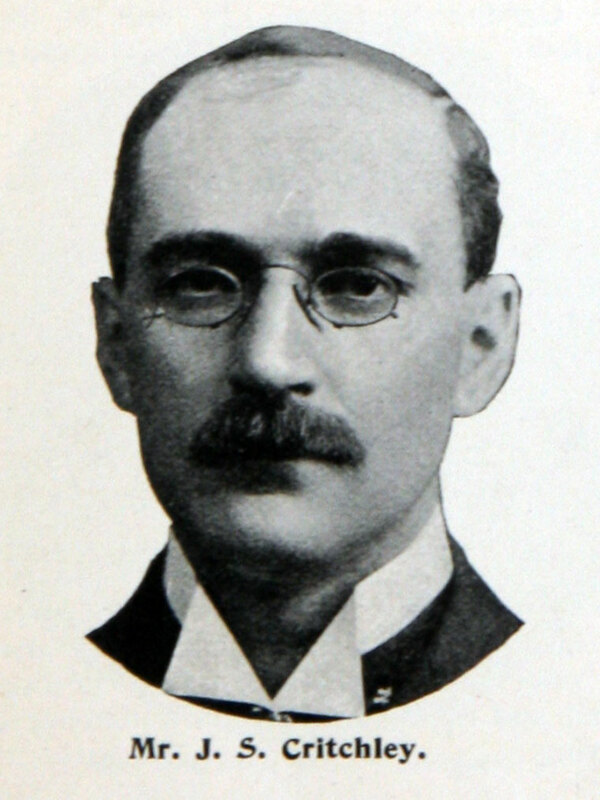 Institution of Automobile Engineers President 1913-15. 1906 William Norris of Blackpool, engineer, with James Sidney Critchley of Shortlands, Kent, patented improvements in construction of compensating gear, shafts and axles for self-propelled vehicles, improvements in construction of condensers, radiators or cooling apparatus for self-propelled road vehicles, improvements in construction of clutch operating gears for motor vehicles or other purposes. 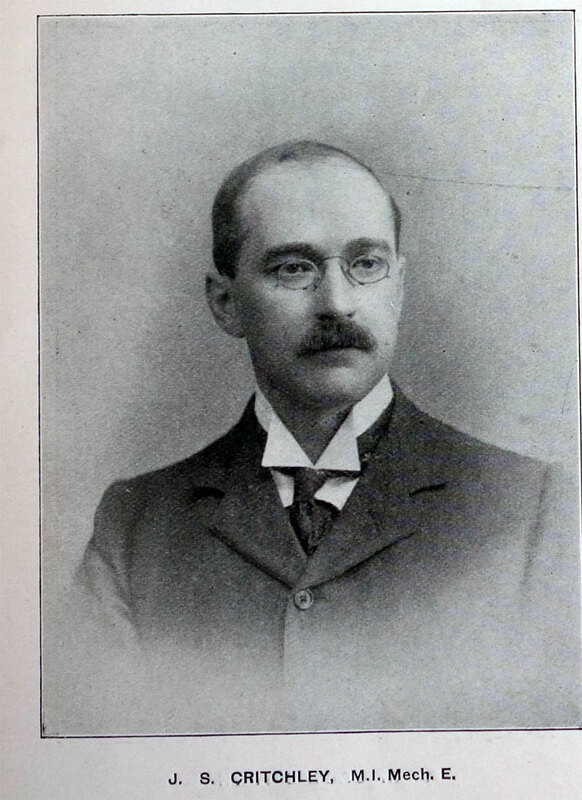 CRITCHLEY, J. S.,M.I. Mech. E., has been interested in automobilism since 1896, when, after several years' engineering experience in the North of England, he took up the management of the Daimler Motor Company, Limited. Resigning this position after four years, he joined the British Electric Traction Company, Limited, and its associated companies. He successfully drove a car through the 1000 miles Trial, and acted as a Judge in the Reliability Trial of the Club in 1902. James Sidney Critchley was born in 1865 and educated at Bradford Grammar School. He served articles with J. Waugh, of Bradford, and Thomas Green and Sons, Leeds, and later specialized in the design and construction of factory plant and machinery. In 1896 he was appointed the first Manager of the Daimler Motor Co.'s works at Coventry. Relinquishing his post as Works Manager in 1901, he became a Director of the Company and also Technical Adviser to the British Electric Traction Company. After the last war, during which he was Chief Inspector of M.T., he carried on his own practice as a Consulting Engineer up to the time of his death. He died on 19th October, 1944, at the age of 79. 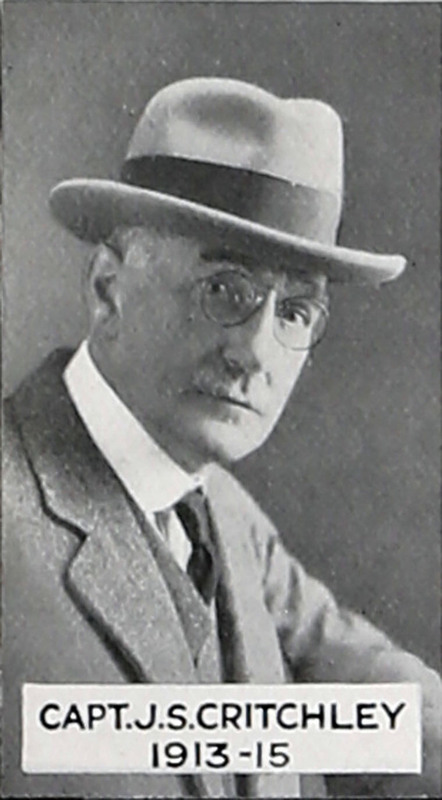 He designed the original Crossley car and the Critchley-Norris commercial vehicle. He was co-founder, with F. R. Simms, of the Society of Motor Manufacturers and Traders and a founder member of the Royal Automobile Club. He was elected a Member of this Institution in 1907 and was President for the Session 1913-14. Further details of his career were published in the Journal for December, 1944. This page was last edited on 18 March 2018, at 23:21.